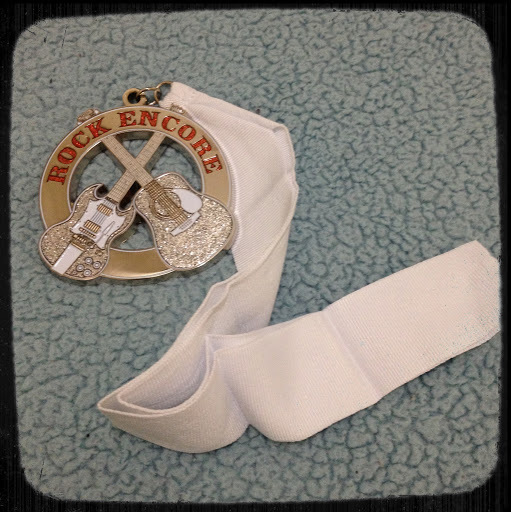 I ran two half marathons in March: Little Rock Half Marathon and Rock ‘n’ Roll USA Nation’s Capital Marathon and Half Marathon. Both were fun but challenging. I am trying really hard to enjoy a little bit my races. I know I won’t always have a great race but they can’t all be horrible right? In April I have two races: Run Raleigh and Rock ‘n’ Roll Country Music Half Marathon. At the latter race I’ll be meeting Laura from Absolut(ly) Fit. I am excited and looking forward to it. I’ve changed my airline reservations to Nashville (again) so that I get in at a reasonable time to pick up my bib and leave on the last flight so that I am not rushing out of the race and hotel to get to airport. On Saturday and Sunday I spent a couple of hours booking hotels for my upcoming trips/races. Ugh, it took so long but at least I am set except for Savannah, GA. The logistics of getting to the expo and the start line make my head hurt. I am not sure if I want to go there anymore. Anyone wants to go with me? I am looking into yoga classes, specifically bikram. Right now Bikram Yoga River North has two specials: $29 for one month of unlimited yoga and $100 for 10 classes. I’ve purchased the 10 classes and will start going when I get back from vacation. Tomorrow morning I am off for 5 days in Riviera Maya. Look what I go in the mail the other day? Yes, I am a Rock Encore. I got this medal for completing two RNR races this year (Arizona and Washington DC). Um, hi! I'm an IDIOT! I had no idea you moved your blog. I must've missed that along the way. I still had your old one on my ticker thingie. So sorry! I just assumed you had been busy and had given it up. LOL.Okay, I'm back to reading now. Sorry about that! I'm really looking forward to San Diego!!!!! You are too cute. No problem. Looking forward to San Diego too! !